At the moment, Gordon Geckos’, the Wall Street master – brokers’ words are somehow not quite saving the US of A. In fact, there is a salvaging operation on by the free enterprise US government itself, perhaps, marking the first case of reverse nationalisation. Blue-blooded pedigree investment banks such as Bear Stearns, Lehman Brothers and Merrill Lynch have all changed hands with extraordinary alacrity. Mighty institutions have been felled by ingeniously crafted risky mortgage products by creative investment bankers which have now boomeranged. One of the world’s largest insurance and financial behemoths AIG has been forced to take a government bail-out, and even Morgan Stanley and Goldman Sachs are on the verge of a precipitous collapse. Amidst all the brouhaha of financial gluttony, we may have missed the woods for the trees. 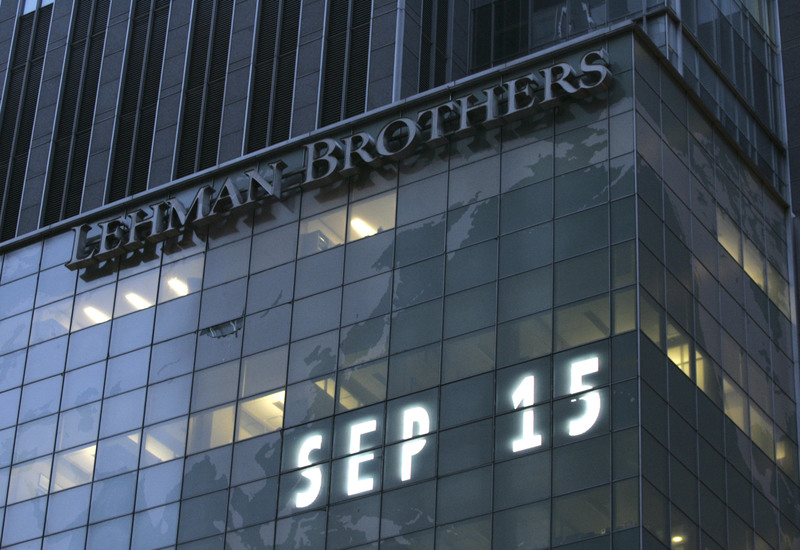 What does the stumbling, crumbling, collapsing Wall Street drama really imply? It actually reflects —— the failure of leadership. Strangely, the virus of greed affected all the fine gentlemen in black suits and red ties simultaneously. The reverend CEOs perhaps, forgot what their management trainees spend hours learning in five-star classrooms; the risk-reward curve. The story goes that when Bear Stearns was getting stowed over burning charcoal, Jimmy Cayne, chairman was busy playing bridge, even forgetting his portly mobile phone behind. And that Lehman Brothers chairman and CEO David Fuld was making rosy predictions about his firm’s glossy future to the shrewdest investors of them all, Warren Buffet, fully aware that in reality they had hit insurmountable road-blocks. Numerous investors who got taken for a real ride forgot a simple saying; if stock market analysts were indeed such experts, they would be buying stocks instead of selling advice. Not so long ago, Kenneth Lay, erstwhile chairman of Enron, once amongst the most highly visible entities in the energy sector, threatened the Indian government with dire consequences if we reneged on the Enron deal in Maharashtra. A head of a multinational Fortune 500 company was threatening a sovereign democratic republic of over a billion people with unambiguous arrogance. A few years later, Enron existed but only on legal documents, and Lay had become an unfortunate victim of trying circumstances. Incidentally, Enron apparently had a 79 page code book of Ethics, and we all know that perhaps, it was just an in-house paperback bestseller. I remember reading several articles on leadership and ethics, business principles and values around that time, as the USA experienced a series of deadly CEO frauds. Martha Stewart had also made dubious headlines, almost savouring the media spotlight. Even bad publicity is publicity after all. Years later, after the standard pontifications, we can see that nothing really changed. Sure, the current investment banking failures are not regulatory violations or cases of deliberate criminal misconduct. They are , to use common parlance, bad business decisions. But ethics is not just about corruption and violation of existing rules and regulations. What leaders need to understand is that ethics also has to do with one’s priorities, a comprehension of the bigger picture, assessing the likely fall-outs on all stakeholders – customers, investors, shareholders, employees, partners and the industry itself. Blind obsession with quarterly profit projections has ended up creating CEOs with a fuzzy vision, even irreparably blurred. Newspaper reports say that Lehman Brothers senior team-members in India are being already head-hunted for big jobs with high emoluments; isn’t that a queer irony? But what about the hapless staff in BPOs, the ordinary work-people without the MBA tag, the administrative team, the back-office guys, and the contract labour ? The collective leadership failure of the blue-chip investment banks is already become part of financial folk-lore and business school case-studies. They say that gentlemen prefer blondes. However, problems arise when they develop a passion for bonds instead. Maybe Wall Street CEOs could take that as a first lesson. Agree, greed is the number one stumbling block in any business. Its like cancer.